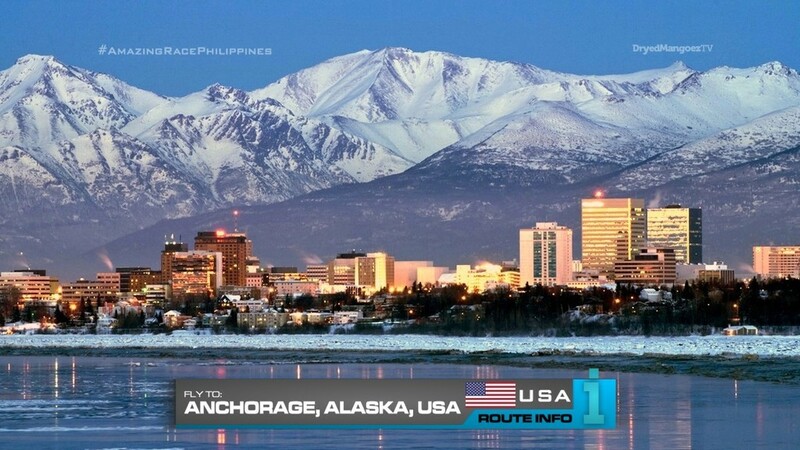 Things are going to get a little chilly as teams find out they’re flying to Anchorage, Alaska in the United States! All teams will fly via Sydney and Honolulu and arrive in Anchorage at 5:10am. 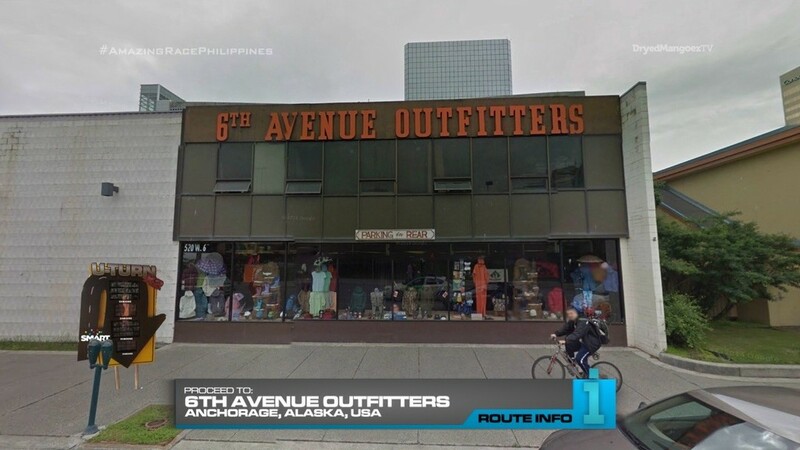 Teams will hop into taxis and make their way to 6th Avenue Outfitters. But it is closed until 7am. 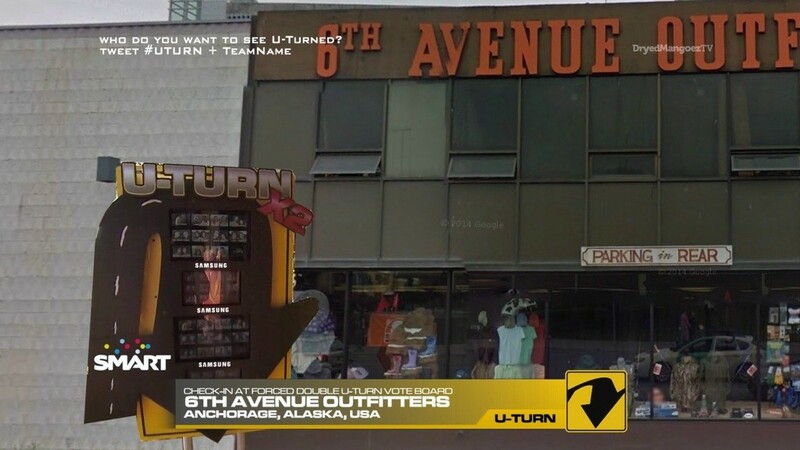 In the meantime, teams can check-in at the Forced Double U-Turn Vote Board! At 7am, teams can enter the store to pick up necessary gear they will need for the rest of the Leg. 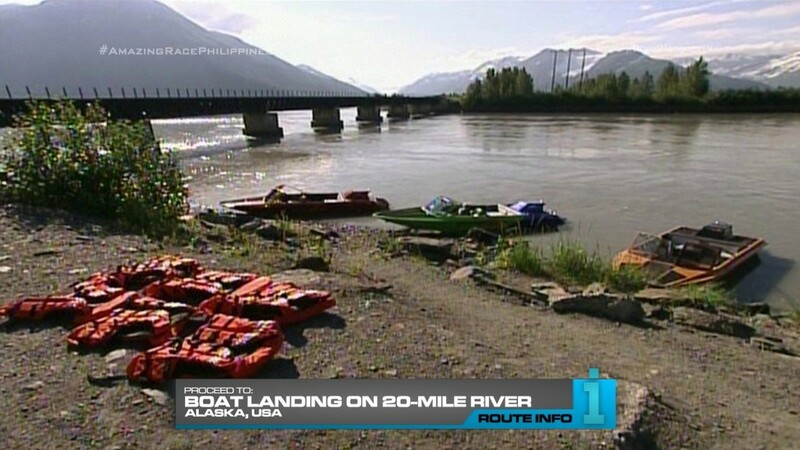 They will also get the next clue telling them to head to the boat landing at 20-mile River, 60 miles from Anchorage. Teams will choose a high speed boat to take them to 20-mile Glacier. Their next clue is attached to a buoy in the water. 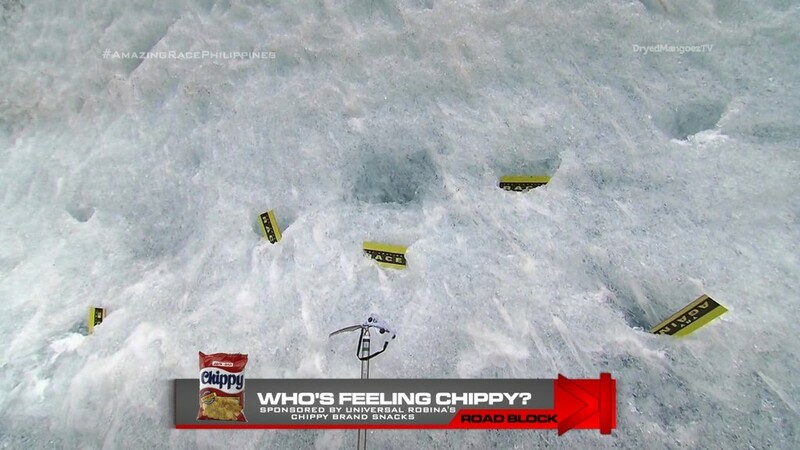 And that clue contains the Road Block: Who is feeling Chippy? This Road Block is sponsored by Universal Robina’s Chippy brand snacks. Both team members must climb a wall of ice using the tools they obtained earlier. 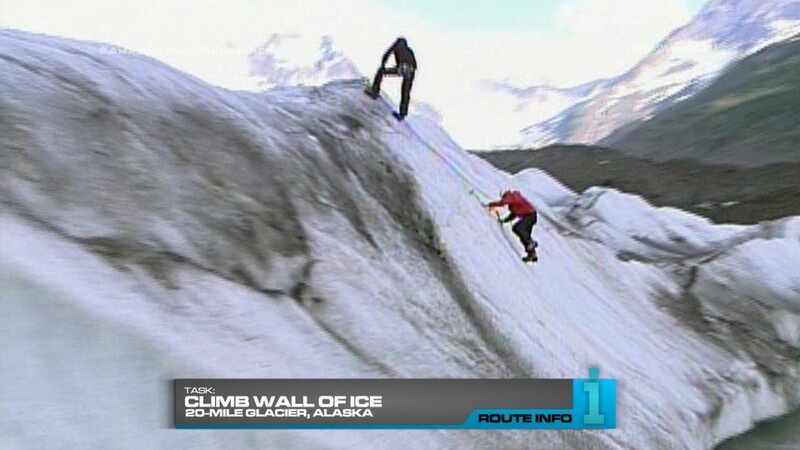 But once on top of the glacier, the Road Block participant must chip away at an ice wall containing the next clue using an ice axe. 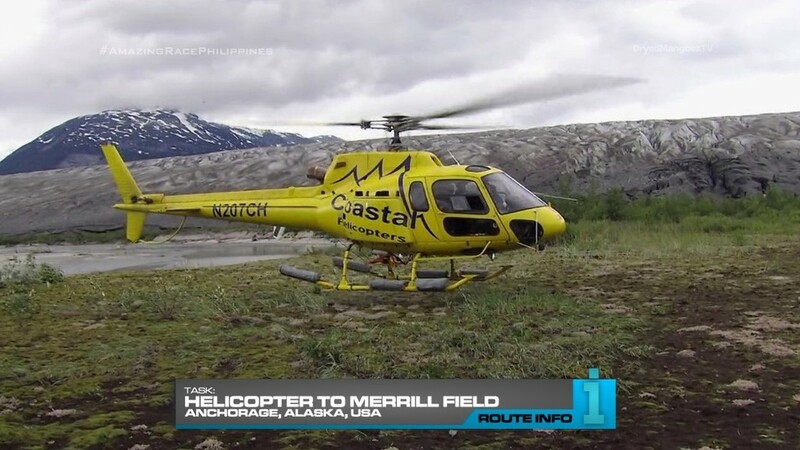 After the Road Block, teams must now hop into one of the waiting helicopters to take them back to Anchorage. They will be dropped off at Merrill Field. 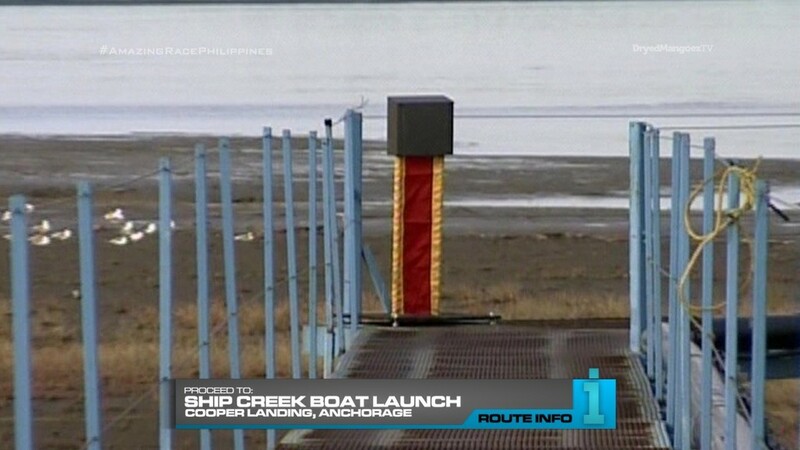 Teams must now make their way to Ship Creek boat launch in Cooper Landing. And here, they will find the Detour: Cut the Cod or Grab the Crab. 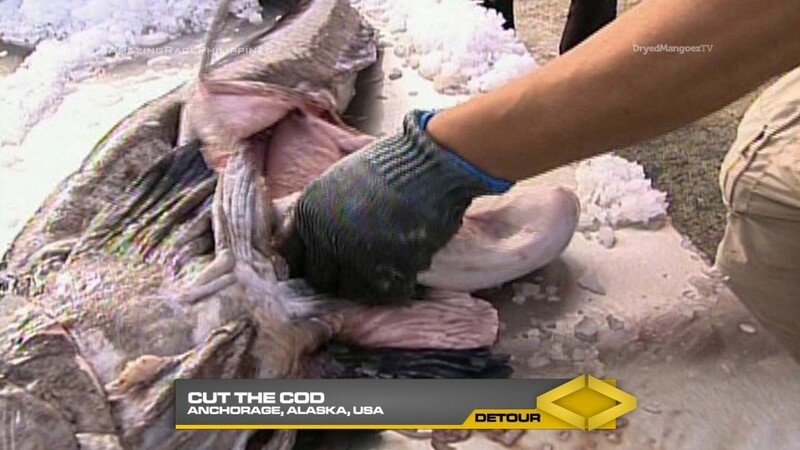 In Cut the Cod, teams must cut through several 50-pound ling cod to search for a miniature clue hidden inside one of them. 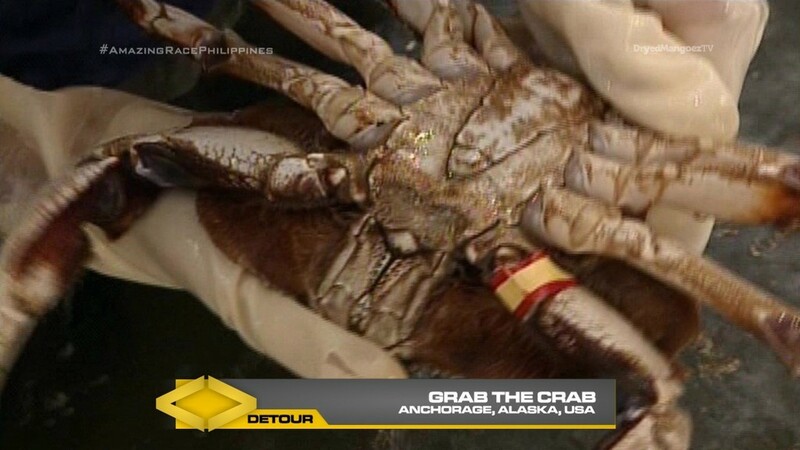 In Grab the Crab, teams must jump into the hold of a boat and search through live crabs for one marked with Race colors. 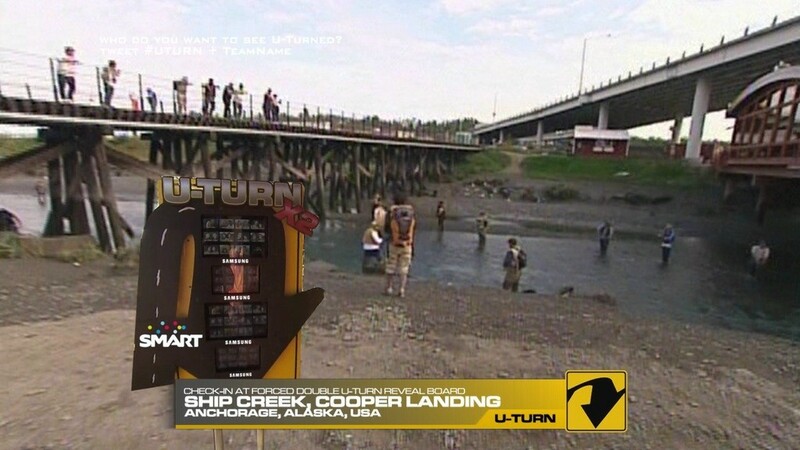 After the Detour, teams must search near the metal bridge for the Forced Double U-Turn Reveal Board! 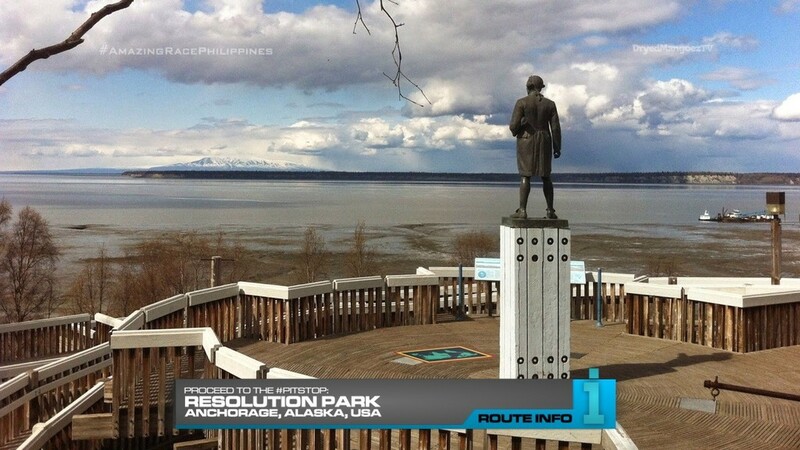 This clue refers to the Captain Cook statue in Resolution Park, the Pit Stop for this Leg of the Race. Slightly modified version of TAR12’s solid Final Leg. Removing the memory Road Block, this should be a good Leg for eight teams to compete on. 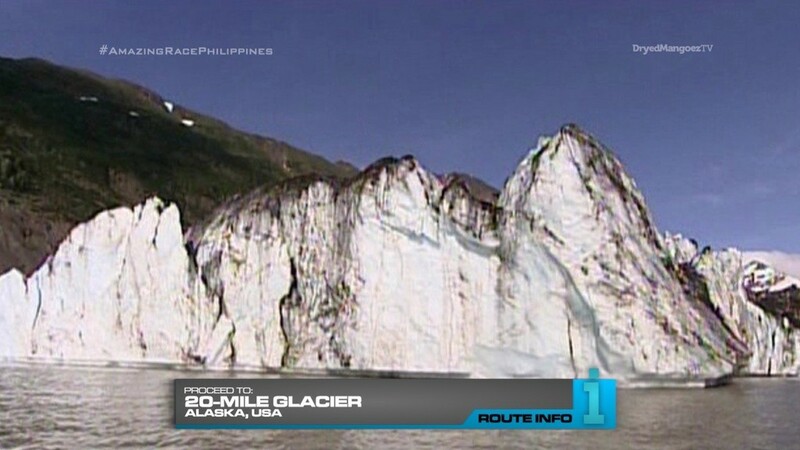 Filipino teams running around glaciers should be great television. Seeing such scenery different from the Philippines makes for an eye-opening experience. The ice climb and the Detour are all solid tasks. And the U-Turn vote is good here on a Non-Elimination Leg. Though we should not always make that a habit, of course. Teams may get the hint.